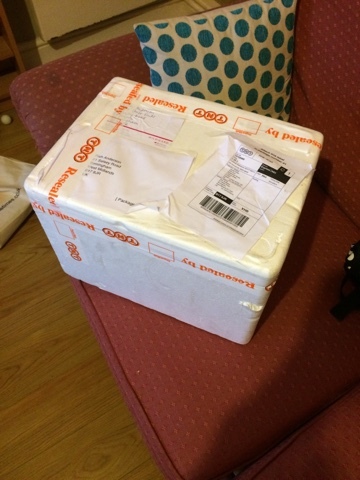 It's always nice to get a big box in the post. 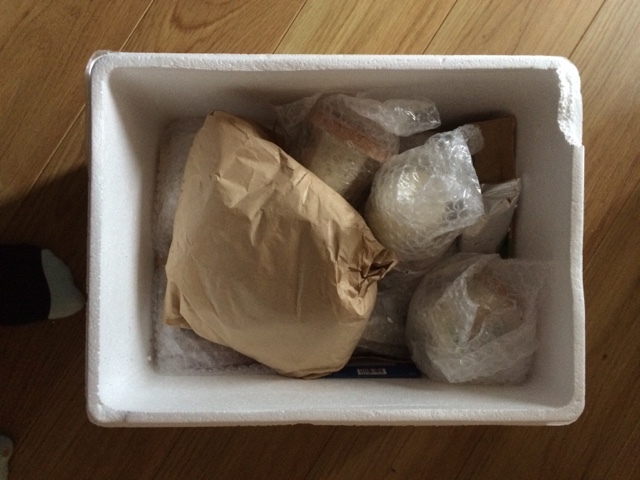 Even if the couriers have cracked the box and then had a peek inside to check its not broken! Luckily it was all in tact and fine. So what goodies do we have here then? Oh dear. 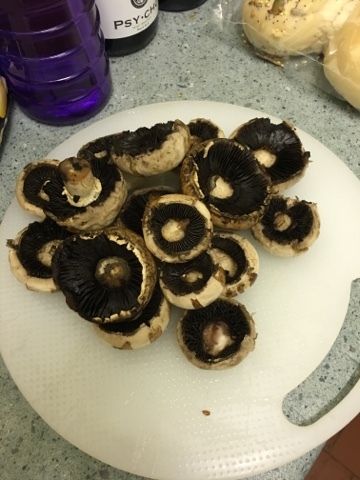 It's mushrooms. The one food that I'm slightly afraid of! Well it is Halloween week, and I have a partner who absolutely adores them so it should go fine. I think I must have had a traumatic experience with a mushroom as a child, it isn't a rational fear. It's how I presume other people think of spiders and heights and clowns, it's my body trying to protect me from something harmless and covered in horrible fins and oddness. For the first attempt we needed something quick and easy. The review request called for recipes, but with a quick and easy sauce you want a quick and easy recipe to go with it. 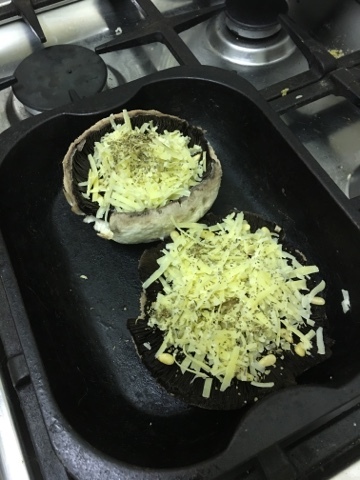 This recipie called for good quality farm shop cheese (the really strong stuff), lots of fresh herbs, pine nuts, and the two biggest mushrooms in the box which my partner prepared and cooked. 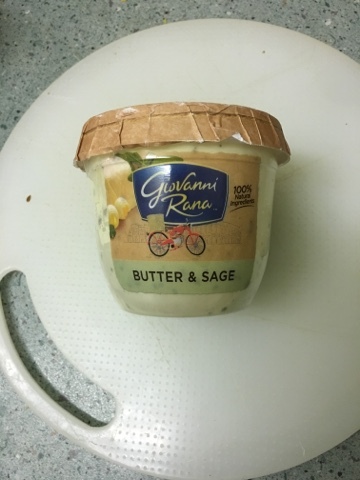 I was in charge of the real focus of the review - butter and sage sauce by Giovanni Rana. 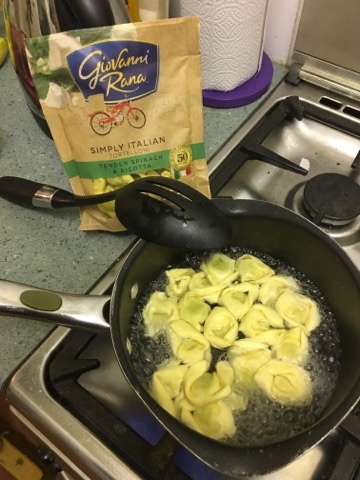 Regular readers will know how ridiculously evangelical I got about the meaty stuffed pastas when they first came on the market - being that they actually had soft runny centres when cooked perfectly and a wonderful flavour. They are a great lunch or part of dinner. I'd assumed that these sauces were to go with those too, but we can get to that later. This is the wonderful creation that resulted. 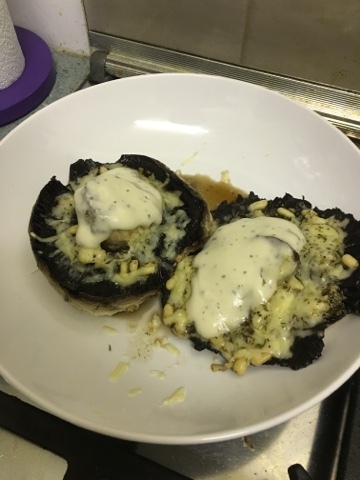 I heated the sauce separately as per instructions and attempted to drizzle it over the mushrooms in a Masterchef style. 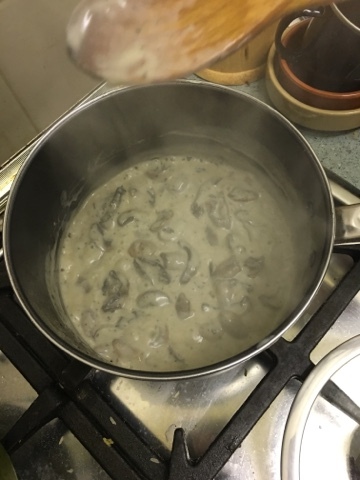 And the verdict was good, my partner praised the way the deep, creamy flavour of the sauce complemented the mushrooms. 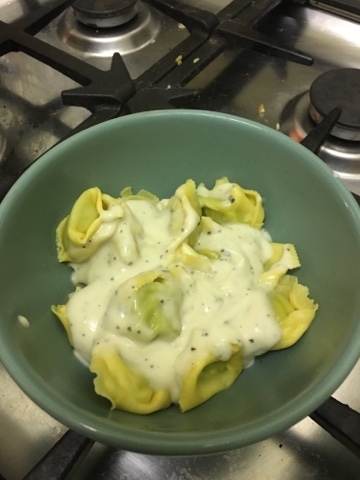 She said that it made a filling meal (with a few bits from below) and that it was definitely something she'd consider making again. I however declined the frilly cheesy monstrosities and opted to make something more refined. Usually we cook two meals as one is for the veggie and one for me, this time it was two veggie meals - but one completely mushroom free. I went for the simple option of heating the sauce up and then pouring over (admittedly quite generic) pasta. I wanted to challenge the sauce to see exactly what it tasted like without all the extras. 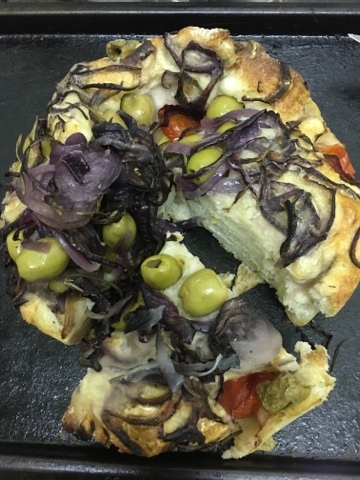 I did however take the focaccia bread out of the parcel, heat it up and have a rather generous helping with my meal. I sprinkled with a few scissor cut sun-dried tomatoes and ate away! I agreed that the sauce was a lot darker in flavour than I'd expected, not so carbonara and more strong herbs. 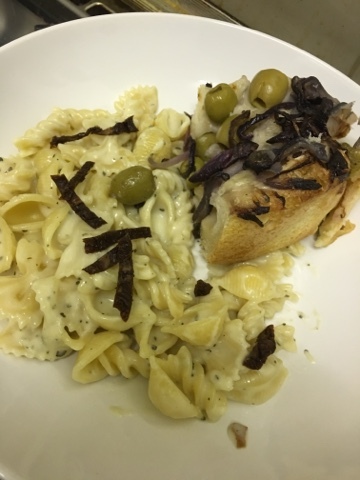 It clung to the pasta well and was a great consistancy neither being to thick nor too runny. I'm glad I added the tomatoes for a little pizzaz as it didn't have enough chunky bits to vary the flavour, but I guess that's why we are using it as an ingredient and not the final sauce. With the bread to mop up the remaining bits it was a pleasure to eat and something I'd actively look out for in future - and probably look for the other flavour which is the Creamy Carbonara - but I wouldn't be able to share that one. Through out the rest of the week we progressed through the food parcel - that is to say my partner and her friends ate a lot of mushrooms, and I enjoyed the bread pasta and sauce. 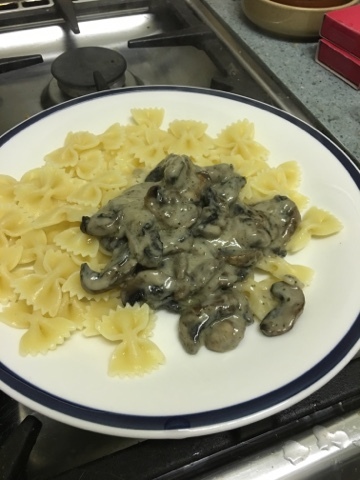 She used a selection of the button mushrooms chopped up small and heated in the sauce to make an accompanyment to pasta. 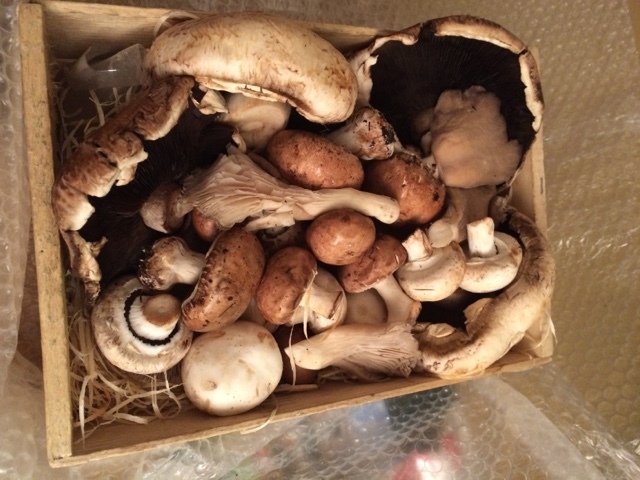 This gave the mushrooms a nice texture and the sauces herby nature really got a chance to shine. 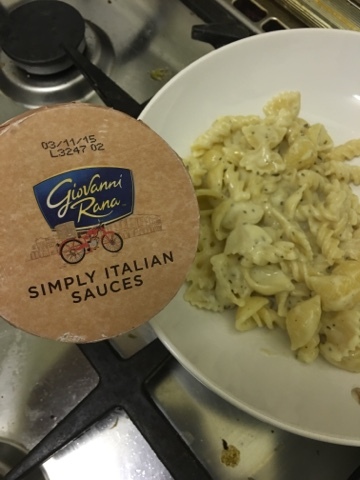 I however opted to try the new sauce with the old favourite of the Giovanni Rana filled pasta. Sauce in the microwave, 1 min boiling pasta, instant gourmet meal for one. Yes - my service skills aren't up to par here, but you get the idea. This is Italian elegance simplified so that even I can get all the flavours and textures I love at home. Well worth picking up.